"Dr. S. Riaz is a consummate professional who listens to your concerns and walks you through you planned treatment." "Doctor Riaz was recommended from another doctor and she was "awesome"!!" "Dr. Riaz & Dr. Brown & team were excellent." "Very satisfied with care received! Provider is great!" "I put all my faith in Dr. Riaz from the moment she took my case. She has done everything she could to help me to become cancer free. She is a caring and very thorough doctor who puts the patient needs first. I trust her with my life and thanks to her I got my life back. " "Dr. Riaz is a caring and empathetic physician." "Always informative & courteous & thorough. Always put me & the family at ease. VERY knowledgeable." "We love this doctor. She is very caring listens to us, & helps us understand." "Dr. Riaz is an excellent doctor." "Dr. Riaz was amazing. I have complicated history & she took time renewing everything. Would highly rec." "Dr. Riaz is an excellent listener and an outstanding and compassionate physician." "I cannot give a higher rating than absolutely exceptional! Dr Riaz gave me the strength to cope with this frightening illness. I feel so lucky to have Dr Riaz as my physician!" "dr riaz is wonderful. kind smart interested in me gives all the time I need st every visit"
"Dr. Riaz was phenomenal. She was not only knowledgeable she was able to explain what my lab results meant to me and she really took the time to not only share her expertise but she spent the time needed to ensure that I left the office knowledgeable and aware of next steps. Dr. Riaz is a valuable team member for Northwell Physicians." "Dr. Sadia Riaz, excellent professional medical provider, bought even more valuable and efficient is her giving to the patient to complete explanation and care and gave in the case-"
"Dr. Riaz is SUPERB! Excellent MD!" "I am very pleased with Dr. Riaz and would recommend her to anyone. Very pleasant, knowledgeable, caring and professional. Bedside manner is absolutely fantastic -"
"We look forward to seeing Dr. Riaz & Kalla. I feel well cared for." 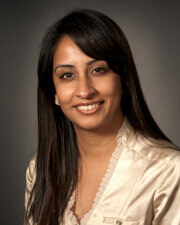 "Dr. Sadia Riaz is a compassionate care provider who I recommend to others in need. She is outstanding and I have confidence in her treatment plan and advise." "Dr. Riaz is fabulous - smart - warm - friendly, caring, easy to talk to - returns calls personally, great eye contact - spends as much time as needed - plus - "
"Dr. Sadia Riaz is an amazing doctor. I have recommended her to many friends and family. The best!! Doctor that I ever had!" "Dr. Riaz is the best care provider, compassionate, knowledgeable, answers all my health related concers and I believe her medical advice. she provided the best treatment plan and I am a living witnesses." "I am very happy with the treatment of the doctor, she is excellent & all the personnel of the hospital. Thank you very much. " "She is a very professional doctor and I'm happy to be her patient. " "She is a excellent doctor." "Dr. Riaz was patient, kind and very caring. She took her time listening to me and my concern and seemed genuine in her wish to find me answers." "Dr. Riaz is a caring, smart, thorough doctor. She never rushes me or herself. I have complete confidence in her ability to treat me." "We love Dr. Riaz and her staff. Can't say enough wonderful things about everyone. When my mother got her hair cut which was the first time since before she was diagnosed last June 2016 Dr. Riaz flipped out about how wonderful she looked which made my mother blush and feel even more wonderful. It was like a girlfriend giving more than just a polite compliment. Thank you, Dr. Riaz and staff, for making my mother feel like a normal human being." "Love Dr. Riaz and Love Dr. Vinciguerra"
"Dr. Riaz is fantastic. I wish every doctor was as caring, professional and knowledgeable as she is." "No bad experience all is great." "She was very nice & courteous, knew my case & explained everything." "Dr. Riaz is one of the most compassionate doctors." "I am very happy with the health care I am receiving from Dr. Riaz." "Dr. Riaz is an amazing Doctor." "Dr Riaz as previously stated is an Angel so kind and concerned..."
"very satisfied and please with Dr Sadia Riaz"
"Always the best experience highly recommend." "A doctor who shows, concern, compassion and listens to you. Qualities no found in most doctors today. A doctor I trust." "Dr. Riaz has been wonderful very professional, kind & understanding." "Dr. Riaz is the finest physician in her knowledge and empathy. #1. THE BEST." "Everyone was very professional and very knowledgeable." "Dr Riaz is the best doctor i had ever had. extremely smart and caring. i recommended her to other patices"
"Doctor Sadia Riaz and her staff is Amazing!!! She the best Doctor I could ask for. It's always a great experience everytime I go to Dr. Riaz's office, she's very professional, smart and caring..."
"Dr. Riaz was very caring about my problem she explained my problem thoroughly and in a way I could understand. She explained to me what tests she was going to take. I would recommend her to anybody. Of all the practices I have seen this is one of the best doctors I have had." "Dr. Riez always takes her time with me. I never feel rushed. Dr. Riaz is an excellent doctor."